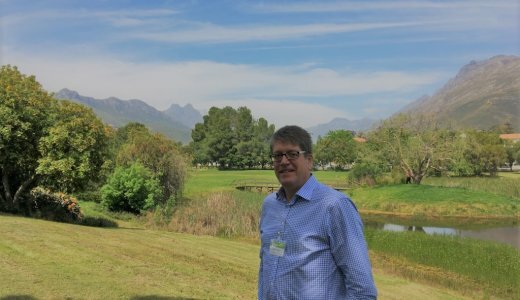 N8 AgriFood’s Chair at Liverpool, Prof. Jonathan Rushton, is in South Africa this week after being invited to speak at the global conference Science Forum 2018 (SF18). Running from October 10th to 12th in Stellenbosch, the conference is entitled “Win more, lose less: Capturing synergies between SDGs through agricultural research”. 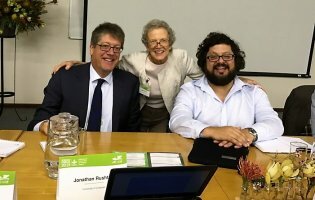 SF18 is organized by the CGIAR’S Independent Science and Partnership Council (ISPC) and co-hosted by the South African Agricultural Research Council. The objective of SF18 is to identify substantial interactions between the Sustainable Development Goals (both positive and negative), the role of agricultural research in augmenting synergies and managing trade-offs, and the ensuing implications for the science-policy interface. Results will contribute to the discussion of developing research themes and frameworks in CGIAR. Our Liverpool chair Jonathan Rushton, who is a Professor of Animal Health and Food Systems at the Institute of Infection and Global Health at the University of Liverpool, spoke this morning on the second day of the event. In a seminar focusing on livestock and aquaculture production and vulnerability to AMR/zoonoses and land use change, Prof Rushton talked about the interactions between intensifying livestock and aquaculture production for food and nutrition security, as well as increased vulnerability to antimicrobial resistance and zoonoses and land use change. How can we improve both human and animal health and welfare while sustainably improving farm productivity? How can we improve land use management while sustainably meeting the increased demand for animal source foods? What are the key trade-offs? What are the implications for the research agenda?